Natural gas is fast becoming the preferred fuel of the future. With a supposed cleaner reputation than coal or oil as fuel for domestic use and power generation, countries around the world are fast constructing LNG regasification terminals, so that they have the facilities to provide for their energy needs during the next 25 to 50 years. Chile is no exception, and with its previous reliance on Argentinean gas, is now equipping itself to receive gas imports from further afield. 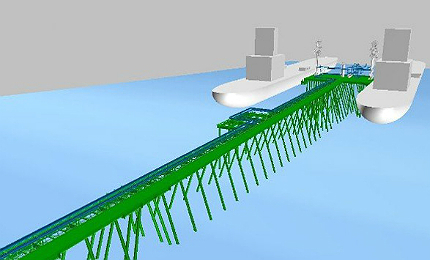 Chile has other LNG projects under construction, such as Quintero Bay, while there is also a project in Mejillones, Antofagasta (northern Chile). Northern Chile is still under severe gas supply restrictions from Argentina. Mejillones is also the area chosen for a new super port that will be completed by 2030. "Northern Chile is still under severe gas supply restrictions from Argentina. Mejillones is also the area chosen for a new super port." The new LNG project began in October 2007 and was developed by Suez Energy International in a 50/50 partnership with Codelco (a major world copper producer) as the joint venture GNL Mejillones (GNLM) supported by Gas Strategies of London. The investment for the new plant is estimated to be around $500m and construction began in March 2008. The plant was commissioned in 2010 and the first shipment of LNG was received in February 2010. The commercial operations at the plant began in April 2010. The facilities (first phase construction) included a single offload jetty and a single on-shore regasification train with a capacity of 5.5 million cubic metres of gas a day (this equates to the production of 1,100MW of electricity). In addition, a permanently moored LNG floating storage unit (FSU) was chartered by SUEZ Global LNG with a capacity of 135,000m³ to serve as a floating storage facility for the start-up of the first phase. The second phase of construction includes an onshore storage tank construction with around 1750,000m³ capacity as a more long-term solution. The second phase construction of the storage tank began in November 2010 and it is expected to be completed by 2013. There are several mining companies involved in the project who have signed contracts to take gas from the terminal over the first three years from 2010 for electricity generation and these include BHPB / Escondida, Collahuasi, El Abra and Codelco Norte (four contracts are worth 450MW). GNLM has in turn signed gas supply contracts with SUEZ. The engineering, procurement and supply contracts for the project were signed at the start of October 2007. The terminal was constructed by Técnicas Reunidas of Spain, and the jetty by the Chilean company Belfi. "Commercial operations at the plant began in April 2010." Tractebel Engineering was the project management engineer and was responsible for the basic design, coordination and supervision of the construction. A subsidiary of SUEZ Energy, called SUEZ Energy Andino, was responsible for the operation and maintenance of the terminal. 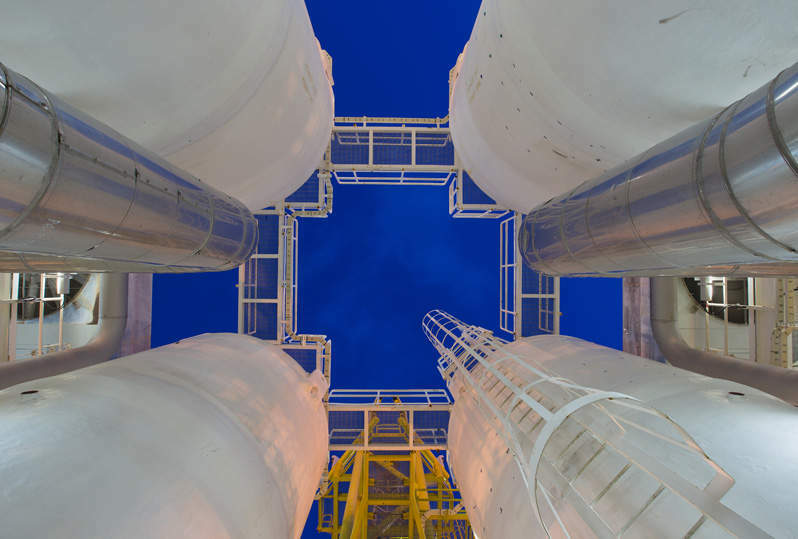 In November 2010, Técnicas Reunidas was awarded a contract valued at $140m to design and build an LNG storage tank. By February 2008 all of the environmental permits and other authorisations to build and operate the plant had been granted and construction could get underway. Escobar LNG terminal is located on the Paraná River in Argentina. Chile is not self sufficient in its supply of gas and has always had to rely to a certain extent on its neighbour Argentina for its supplies.